Welcome to Monitor - the data acquisition and control newsletter. We've another data acquisition application story this month, this time about working out the likelihood of biofuel self-combusting. Any comments or questions email [email protected]. You can download this issue as a pdf file from https://www.windmill.co.uk/monitor/monitor246.pdf. Microlink 751 helps quantify the risk of self-ignition in biomass fuel heaps. When organic materials like wood or animal waste are used as fuels they are called "biomass fuels". Although having the advantage of being renewable, they have lower energy densities compared to fossil fuels. If they are heated above 200 oC though, in a process known as torrefaction, they gain a higher energy content and are converted into a coal-like material. Similarly to coal though, self-heating then becomes a safety concern during storage and handling. There are several incidents of accidental fires that have occurred when self-heating lead to ignition. Dr Tengku Nnoor Tg Azhar at Sheffield University has been modelling the self-heating behaviours of both torrefied and non-torrefied biomass. Part of her research involved experimental study of the behaviour of differing amounts of samples heated up to various oven temperatures - examining the time taken for a thermal runaway. The research team measured temperatures using five type-K thermocouples. They collected data from the thermocouples with a Microlink 751 data logging system. 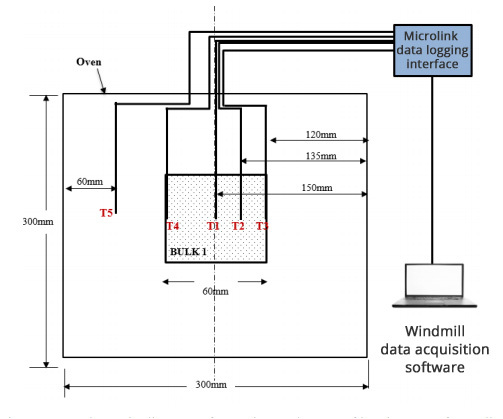 The Microlink was connected to a laptop running Windmill data acquisition software which recorded temperatures every second. The data was transferred to Microsoft Excel for further analysis. A stainless steel wire mesh basket held the biomass samples. The basket was suspended in an oven, and thermocouples positioned in the basket and the oven. The oven temperature was maintained at a constant temperature. Schematic diagram of experimental setup. Bulk 1 is the wire mesh basket holding the biomass fuel. T1 to T5 are thermocouples. The samples were subjected to the selected temperature until the reading of the thermocouple at the centre of the basket exceeded the oven temperature. The exceeded temperature is an indication that self-heating has occurred, and leads to self-ignition. At this point the oven was turned off, and the samples were left to burn fully. The oven was then cooled down to room temperature before the next batch set up using the same method. Self-heating that leads to thermal runaway was only detected for microwave torrefied sample: there was no self-heating phenomenon detected for the non-torrefied sample. After mathematically modelling the heat and mass transfer, Dr Azhar compared the simulated data with the experimental results. She found an agreement between the two, the experimental data collected by the Microlink 751 and Windmill software validating the numerical model. The model could predict the development of hot spots in piles of fuel, and can be used to help identify the possible self-heating phenomena that lead to ignition. Experimental study and numerical modelling of self-heating behaviour of torrefied and non-torrefied biomass fuels, Tengku Noor Arbaee binti Tg Azhar, University of Sheffield, June 2018. What's the fastest I can log a Modbus tcp connection with Windmill Software? Windmill will collect data over Modbus at a speed of 5 samples per second per channel, with a maximum of 200 readings per second. Read more about Modbus Settings. Welcome to our round-up of the data acquisition and control news. If you would like to receive more timely DAQ news updates then follow us on Twitter - @DataAcquisition - or grab our rss feed. Cellulose soaked in a carefully designed polymer mixture acts as a sensor to measure pressure, temperature and humidity - all at the same time. It can monitor wiring in a building or ship, and signal when repairs are needed. Physicists have discovered that when two atomically thin (two-dimensional) materials like graphene are placed on top of each other like a "Lego" tower, their properties change and a material with novel hybrid properties emerges, paving the way for design of new materials and nano devices. 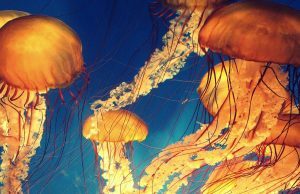 Just like a jellyfish, the electronic skin is transparent, stretchable, touch-sensitive and self-healing in aquatic environments. 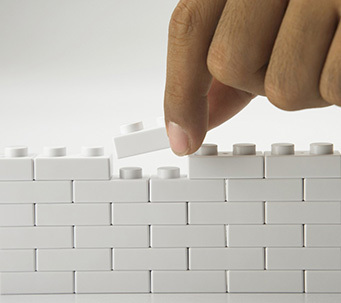 It can be used in everything from water-resistant touchscreens to aquatic soft robots. The self-healing properties mean it has the potential to reduce the millions of tonnes of electronic waste generated each year from devices like broken mobile phones. is included and a link back to our website is in place. SUBSCRIBING OR CANCELLING SUBSCRIPTION Visit https://www.windmill.co.uk/newsletter.html and add or remove your e-mail address. PO Box 58, North District Office, Manchester, M8 8QR, UK.